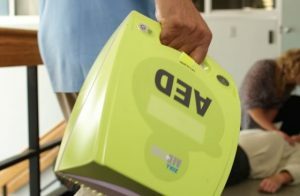 Are you prepared for Sudden Cardiac Arrest? ASSOCIUM GAIN has partnered with Echohill Email Marketing and Constant Contact to bring you a Digital Email Marketing Special. Right out of the box, it lives up to its name. The Classic III stethoscope is the latest version of the stethoscope that helps millions of medical professionals to auscultate effectively. 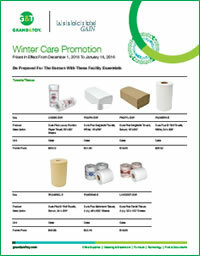 Be prepared with mats, snow and ice management and disinfectant wipes. 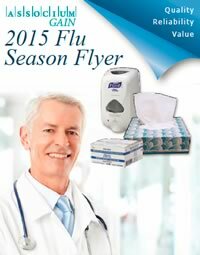 Medical Mart ~ Cold and flu season medical supplies until Feburary 28, 2017. Gloves, masks, gowns, wipes and more. Grand & Toy offers competitive pricing on all your technology needs. Save BIG on whiteboards, filing cabinets, storage solutions, laminators and shredders. 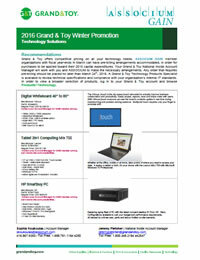 Grand & Toy offers competitive pricing on all your technology needs. Save BIG on computer essentials, accessories and ergonomic products. Grand & Toy offers competitive pricing on all your technology needs. Save BIG on mobile essentials and accessories. Grand & Toy offers competitive pricing on all your technology needs. Save big on Infocus digital white board, Lenovo tablets and HP compact PCs. ASSOCIUM GAIN member organizations with fiscal year-ends in March can have pre-billing arrangements accommodated, in order for purchases to be applied toward their 2015 capital expenditures. Your Grand & Toy National Inside Account Manager will work with you and ASSOCIUM to make the necessary arrangements. Any order that requires pre-billing should be placed no later than March 24th, 2016. A Grand & Toy Technology Products Specialist is available to review technical specifications and compliance with your organization’s internal IT standards. In order to view a broader selection of products, log in to your Grand & Toy account and browse Products>Technology. Use email marketing from Constant Contact to inform your members, connect with partners and communicate with stakeholders. ASSOCIUM has partnered with Echohill Email Marketing and Constant Contact to bring you a Digital Email Marketing Special. Access to exclusive, complimentary training webinars ($49 value) and toll free telephone coaching. Prepay for the year save up to 30% with an annual plan. Gloves, masks, hand sanitizer, alcohol wipes and bandages – we have many ways to help keep your workplace sanitized. Some planning and preventative measures may help keep staff bettered prepared to battle the upcoming cold and flu season. Check our events calendar and your inbox for upcoming webinars.